Hello, SE Readers! Joan here. Happy Friday. As you know Friday means it’s time to share a smorgasbord of some of the best articles we’ve found with writing and marketing tips around the Internet this week. 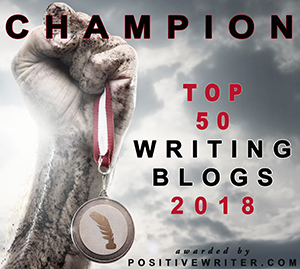 And while you’re here, if you haven’t already read the post by P. H. about the Scrivener inspector and Craig’s post on blogging, be sure to check them out. Amazon and Barnes and Noble (in appreciation of brick and mortar bookstores). Wow. Some excellent links here. Thank you! Thanks, Sue! It’s a collaborative effort. Thanks for visiting, Julie, and for your support. Thank you for including my article about repetition in marketing on this fabulous list! I can’t wait to take a look at the other links. Another great share, Story Empire team. I did not know you could advertise on Amazon so guess where I am heading off …. So many things to know. Thanks for stopping by, Robbie! You’re welcome, Natalie! Thanks for visiting. Some intriguing new content to surf through. Yes, there is. I enjoy these posts – I always find something new. I love these posts, Felicia because the six of us contribute. I always find things that I would have otherwise missed. Thanks for composing the post, Joan. Another week with great content from around the web. A lot to read this weekend!